Posted September 24, 2014 by Dr. Ehrenman & Dr. Khan & filed under General Dental Articles. As we get back into the school routine, we’re starting to think more about back-to-school clothes, school supplies, and preparing lunches. Taking time to think about the foods you pack into your kids’ lunchboxes can be really important, not only for their overall health, but for their smiles as well. At our pediatric dental office in Long Island, we’ve got yummy, grin-friendly lunch and snack suggestions. Most of the troublemakers we’re referring to are sweet foods like dried fruit, candy, and gummies. These snacks can be really bad for smiles because they’re not only high in sugar, they’re also really sticky. Sticky foods tend to linger around in the nooks and crannies of teeth for a long time, making them more susceptible to cavities. Instead of these chewy, gooey options, pack something like fresh fruit or a bit of dark chocolate. We all know that soda and sports drinks are bad for teeth. But what’s not as well known is that some fruit juices can also cause serious smile-damage. Juices can be high in sugar as well as acid – a combination that does not bode well for the strength of teeth. When deciding on what you pack to wash down your kid’s lunch, consider water as it’s not only free of sugar, it can also help rinse away any food particles. Some foods are really good for your teeth and help keep them clean and healthy. Yogurt and cheese, for example, can decrease the acidity of other foods and make them less harmful to smiles. Crunchy fruits and veggies are also great choices as they can actually scrub teeth to remove some dangerous bacteria and lingering sugars. Adding some of these options to the lunchbox can keep your child’s pearly whites in tip-top shape. When it comes time to pack your kids’ lunches this year, an easy rule to follow is to always think less sticky, less sweet; more crunchy, more water. It’s also helpful to make sure that lunches are full of color, as a lot of color usually means a lot of fruits, veggies, and cheese. While providing a diet that’s grin-friendly is definitely important, making sure that you keep up with your child’s regular appointments at our Long Island pediatric dental office is also crucial to ensuring the healthiest smile possible. Posted September 10, 2014 by Dr. Ehrenman & Dr. Khan & filed under General Dental Articles. 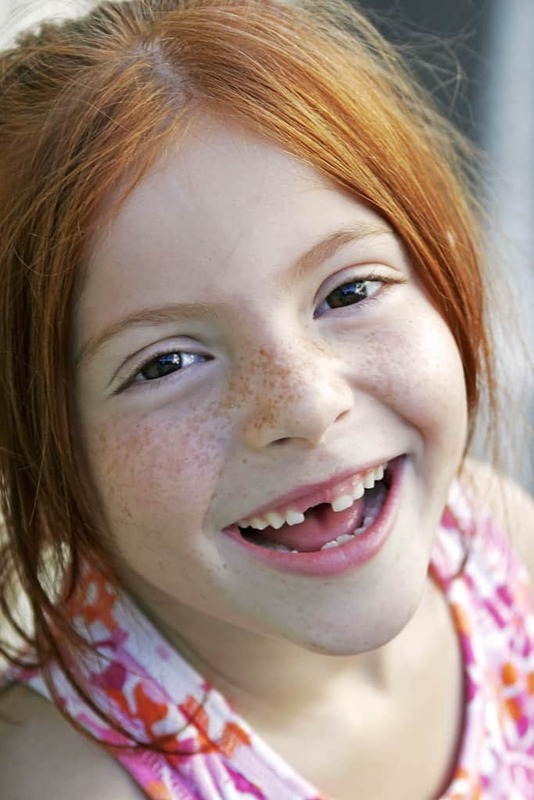 It could happen on the playground, in the pool, or at the park, and learning what to do if your child’s tooth gets knocked out can help save it. Of course, our pediatric dental office in Long Island is here to help, but it’s always useful to know some steps you can take to keep the tooth healthy and safe. First and foremost, no matter how the injury occurred, it’s important to stay calm, keep your child calm, and evaluate the injury. Often, a mouth injury can also mean a head injury, so check your kid to make sure there no other serious concerns before tending to your child’s tooth. Teeth can always be replaced, but more serious injuries should be handled immediately. If everything else appears to be alright, you can start working to save the tooth. If the entire tooth has been knocked out, which includes both the crown (the part that you can see when it’s in the mouth) and the roots (the part that’s usually hidden below the gums), it’s important to find the tooth as soon as you can. Once it’s found, only handle it by the crown and avoid touching the roots. Gently rinse the tooth off with clean water and make sure that any tissues that may be on the roots are kept in place. After cleaning, try inserting the tooth back into the socket and control any bleeding by having your child bite on gauze or a clean towel or shirt. Then call our Long Island pediatric dental office immediately. If you are unable to put the tooth back into the socket, place the tooth in a cup of milk. Once dislodged from the gums, teeth can start to die within 15 minutes, so be sure to act quickly. If milk isn’t available, have your child spit into a cup and keep the tooth in that until you can get to your pediatric dentist in Long Island. Do not store a knocked-out tooth in water as it can cause damage to the roots. It’s important to note that the tips above are for permanent teeth only. If the tooth that’s been knocked out is a primary tooth (baby tooth), do not try to replace the tooth back into the socket. This could cause damage to the permanent tooth below the gum line. If your child is young when the injury to the primary teeth occurs, they’ll have a space there for a bit longer than they would if the trauma didn’t happen. But a few ‘holey’ grins are a lot better than damage to a permanent tooth! As always, if you have concerns about what to do if this happens to your kid, please don’t hesitate to call our pediatric dental office in Long Island. We’re always happy to answer any questions you may have and help take care of the precious smiles in your life. Serving patients in Long Island, Westbury, and Nassau County. Posted August 20, 2014 by Dr. Ehrenman & Dr. Khan & filed under General Dental Articles. 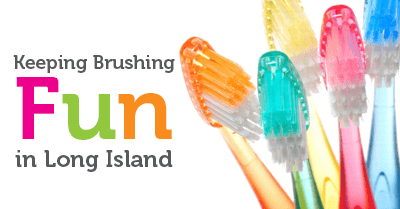 As a parent, you try to make brushing, flossing, and overall oral hygiene fun for your kids. At first, they may really enjoy the cool toothpaste, the brightly colored toothbrush, and the floss they can twirl around their fingers. After all, you’re finally letting them put something in their mouths instead of constantly telling them, “Don’t chew on that!” and “Get that out of your mouth!” Although oral hygiene can start out as something fun, kids can quickly get bored and start to neglect their teeth. So how do you know if they’re properly brushing, or if they’re brushing at all? At our Long Island pediatric dental office, we’d like to give you a few sleuthing tips and clues that you can use to see if your child is brushing or not. A good general rule of thumb for anyone, even kids with baby teeth, is to brush for at least 2 minutes. Anything faster and there’s a good chance a whole bunch of germs, bacteria, and food debris is getting missed, increasing the chance of cavities. If your child is rushing through this routine, it’s important to explain why brushing each section of their mouth is important. Need a little more motivation? Use music that lasts for at least 2 minutes and challenge them to brush for the whole song. There are also brushes designed for children with built in timers that play music, light up or vibrate that can helyour child make sure that he/she gets to two minutes. When your child says they’re finished brushing their teeth, ask them to see their pearly whites and give you a big grin. If food particles are visible, chances are they didn’t brush well enough, if at all. Another giveaway you can look for during the post-brush grin test is if their tongue is white. If it is, it’s loaded with bacteria that would have been taken off with a thorough brushing. Send them back to the sink and explain the importance of a good brushing, including the tongue. And don’t forget to check that toothbrush. We have had many parents tell us that the toothbrush is dry when they check it! If your child has bad breath, there’s a good possibility their oral hygiene habits are slacking. Bad breath doesn’t necessarily come from what you eat, but is more a result of built up bacteria (this goes for adults too!). If after a breath check you’re wincing and pinching your nose, send your kid to brush and keep monitoring their breath. If it is chronic and your child is brushing effectively, then it may indicate a gastrointestinal issue, or congestion from allergies that causes mouth breathing. We hope that our clues have given you some good information on how you can help make sure your child’s at-home oral hygiene is being done, and being done correctly. In addition to at-home care, it’s extremely important that your child visits our Long Island pediatric dental office regularly so we can ensure their smiles are growing strong and healthy. In the meantime, happy sleuthing! We hope you find only good things! Posted August 6, 2014 by Dr. Ehrenman & Dr. Khan & filed under General Dental Articles. When baby’s first teeth are preparing to erupt, it can be painful. It can also cause increased fussiness, decreased sleep (for the baby and you), and an overall unhappy kid. Teething not only causes pain, it can also cause increased drooling, constant chewing on fingers or objects, and can even result in a low grade fever. At our pediatric dental office in Long Island, we have some tips that you can use to help ease the pain and other symptoms. Adding slight pressure to the irritated areas of the gums can subdue pain and relieve baby, for at least a little while. This is where a teething ring or something similar can come in handy. If you’re not having success with a teether, sometimes all it takes is a clean finger gently pressing on the gums and massaging them- just watch out for those sharp teeth!! Try taking a wet washcloth, sealing it in a plastic bag, and putting it the freezer for about an hour. Once it’s nice and cold, take the washcloth out of the bag and allow your child to gnaw and munch on it. The fabric will help massage the gums while the cold can help numb the pain. You can also offer a pacifier or teether that’s been in the refrigerator for awhile. Don’t store these items in a freezer as they can become too hard. Lastly, if your baby has started with solid foods, freeze some fruit in a mesh bag and let them chomp away. Again, the pressure and cold will help alleviate some of the pain. If you’re not having much success with any other options, you may want to consider an over-the-counter pain reliever. There are over-the-counter topical pain relievers (orajel, anbesol, etc) that provide topical numbing and relief. We DO NOT advise that these be used as the FDA recently issued a drug safety review requiring warning labels against use in infants and young children. These medications provide questionable relief since most of it is either swallowed or washed out with the drool. More importantly, overdosage, or excessive use has led to hospitalization with serious medical side effects in some cases. Your baby will be teething on and off for the first 2-3 years of their young life. We advise against using medications to help them tolerate these natural, on-going growing pains. If your baby is starting to get their first teeth, you may also want to think about setting up their first appointment at our Long Island pediatric dental office. In fact, most of our newest patients are seen for the first time as early as age 1! Give us a call today to talk about your child’s teething and dental needs. We’ll be happy to help get their smiles off to a great start! Posted July 23, 2014 by Dr. Ehrenman & Dr. Khan & filed under General Dental Articles. While we can’t seal your kid’s lips to keep the family secrets safe, we can seal their teeth to keep their smiles safe. When it comes to protecting teeth against cavities and decay, dental sealants for kids are extremely important. At our pediatric dental office in Long Island, we encourage our patients to get their smiles protected with dental sealants for healthy, decay-free smiles. Dental sealants are a thin film painted on the teeth and the chewing surfaces. The sealants bond to the surface, depressions, and grooves of the teeth creating a protective shield against bacteria, decay, and cavities. Sealants are easy and painless to apply, and it only takes a few minutes. After a thorough cleaning, each tooth is dried and prepped for the sealant. The sealant is then painted onto each tooth where it bonds and hardens. Sealants can last for quite a long time, even protecting smiles for up to 10 years! Despite their longevity, it’s still important for your Long Island pediatric dentist to check the sealants for chipping or typical wear and tear at regular checkups. If necessary, sealants can then be replaced. If your child’s permanent teeth are erupting, or if their baby teeth have deep grooves, it’s best to think about applying sealants to protect their smiles. 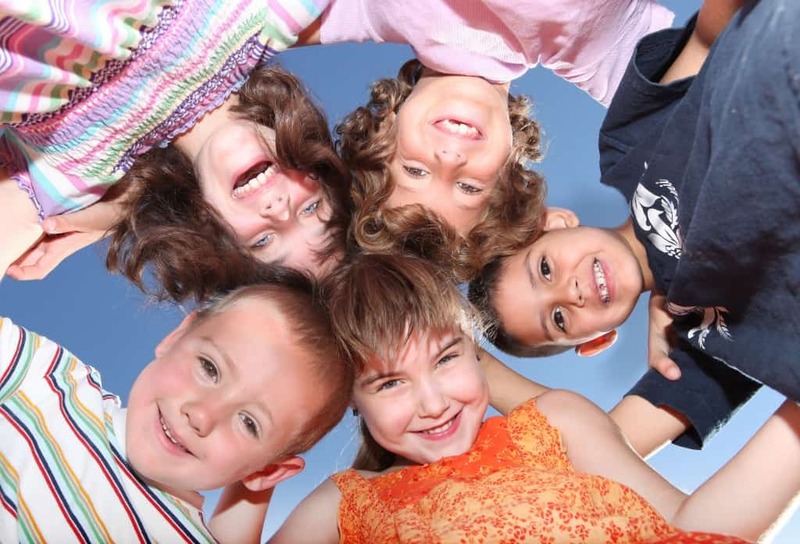 Just call our Long Island pediatric dental office to get an appointment scheduled today! We’ll work with you to determine if sealants are right for your kid’s smile. Serving patients in Long Island, Westbury, and Nassua County. Posted July 9, 2014 by Dr. Ehrenman & Dr. Khan & filed under General Dental Articles. During the warm summer months, there are tons of yummy foods available for kids. But not all of these snacks are healthy for their bodies or their smiles. At our Long Island pediatric dental office, we’d like to start summer off right with a few tips on some smile-friendly summer snacks. First, it’s important to limit sticky snacks and sugary drinks. By avoiding these choices, you’re not only helping protect your child’s overall wellness, you’re keeping their smiles safe as well. Mouth health and body health go hand in hand, so if you’re eating to keep your kid’s body in tip-top shape, chances are their smiles are thankful too! So What Foods Should I Buy? Instead of a juice that’s full of smile-damaging sugar, quench thirst with water. Choose healthy, crunchy snacks as opposed to gooey candies. And make sure the following healthy foods get on your shopping list the next time you head to the grocery store. Proteins – Foods that are high in protein are excellent at fighting acid which can cause tooth decay. Some good protein choices include nuts and turkey. Fruits & Veggies – Apples, pears, celery, bananas, and oranges are all helpful in keeping gums and teeth healthy because of their high vitamin A and C content. They also contain a lot of water which can help rinse dangerous bacteria from the mouth. Cheese – Cheese is high in calcium which not only helps build strong bones, it also helps keep tooth enamel intact. If your kids do need to have a sugary snack, make sure the treats are consumed in one sitting instead of over a prolonged period of time. Choices like ice cream are better for the teeth than a bag of sticky candy, like taffy or licorice, that can be eaten throughout the day, increasing the amount of time teeth are exposed to sugar. And if that soda just has to go with dinner, have them drink it with a straw to keep sugar away from the teeth. Of course, water is always a better choice. Following these tips on healthy summer snacking is a great way to protect your kids’ smiles from the damaging effects of sugary, sticky summer sweets. Of course, we always recommend seeing your Long Island pediatric dentist regularly for in-depth cleanings, thorough exams, and fun visits for a strong, healthy smile. Posted June 18, 2014 by Dr. Ehrenman & Dr. Khan & filed under General Dental Articles. If you research fluoride, and specifically the use of fluoride in kids, you’ll probably stumble across some information suggesting fluoride isn’t safe for kids. At our Long Island pediatric dental office, we’d like to explain why fluoride actually is a safe and important part of your child’s dental health. What is Fluoride and What Does it Do? All of us at Ehrenman & Khan Pediatric Dentistry feel that before we can explain why fluoride is important, we need to explain what it is. Fluoride is a mineral found naturally in many foods and in our drinking water. Fluoride actually helps prevent tooth decay by making it more difficult for acids in the mouth to eat away at teeth. Most importantly, fluoride can reverse early tooth decay and help prevent cavities. In fact, toothpastes that have fluoride reduce cavities in kids by 30% and water sources that incorporate fluoridation lower cavity rates by up to 40%! When is Fluoride Most Important? Does “The More, The Better” Rule Apply to Fluoride? At our pediatric dental office in Long Island, we encourage the use of fluoride to build strong and healthy smiles. But keep in mind, fluoride should be used only as directed. It is very important that a child’s use of fluoride, or products containing fluoride, be closely monitored by an adult. If your child is due for a dental check, give our Long Island pediatric dental office a call today! We’ll make sure your kid’s smile is growing healthy and strong. Posted June 4, 2014 by Dr. Ehrenman & Dr. Khan & filed under General Dental Articles. June is National Dairy Month, and at our pediatric dental office in Long Island, we all like to celebrate by enjoying a bit more cheese, drinking more milk, and snacking on ice cream cones. We not only like to celebrate by eating dairy products, we also like to take the opportunity to inform the parents of our pediatric patients about why dairy is important for kids’ smiles. Whether it’s a stick of delicious string cheese, a cup of yummy yogurt, or a tall glass of cold milk, foods in the dairy section are healthy choices for your kid’s smile. Dairy products can actually help protect teeth from decay and keep a healthy pH level in mouths. They’re also high in calcium and phosphorus – two ingredients that get bones, and teeth, strong. Calcium is important for strong, healthy teeth, and if a diet lacks this essential nutrient, teeth tend to be weak, easily loosened, and even easily broken. Phosphorus is also extremely important for proper cell function and strong teeth and bones. To help get your child enough calcium and phosphorus for strong smile, supplement lunches and snacks with foods like yogurt or cheese. Not only can dairy foods help build strong teeth, they can also help fight cavities. According to the American Academy of Pediatric Dentistry, cheeses such as Cheddar, Swiss, Mozzarella, and Monterey Jack actually stimulate the production of saliva, and since saliva helps protect our pearly whites from dangerous acids, these snacks can halt the development of cavities. At our Long Island dental office, we’re big fans of getting smiles off to a strong and healthy start – and incorporating dairy into the diets of kids is one great way to do this. For more information about which foods are the best for your kid’s smile, give your Long Island pediatric dentist a call today! Posted May 21, 2014 by Dr. Ehrenman & Dr. Khan & filed under General Dental Articles. The Tooth Fairy! Almost every child knows about her. And when that first tooth is lost, they wait breathlessly for her to visit their bedsides and tuck a coin or even a dollar under their pillows. 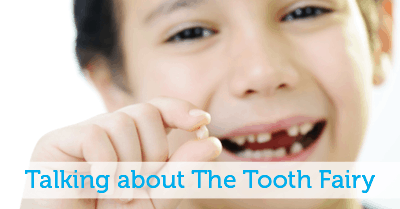 It is a really useful tradition– one that helps remove the worry and concern children naturally have over losing a tooth. But where did this story originate? What in the world did a lost tooth have to do with fairies? Why do we exchange money for the tooth? And why are the teeth tucked under the pillow? The origin of the tooth fairy may have been a mouse! Actually, the tradition of the mouse still continues in many cultures today, while some children throw their tooth in the air for birds to catch or on the roof and make a wish. There is some speculation that the mouse so often used to gather teeth in other cultures, was transformed to a fairy in our own after the publication of the tale, “La Bonne Petite Souris,” or “The Good Little Mouse.” In this story, a mouse hides under the pillow of an evil King, changes into a fairy, and knocks out all his teeth. Others speculate that the fairy developed simply as one of the more popular ways of explaining what happened to the lost teeth. In any case, the tooth fairy in her present form only came into being in the 20th century. In many myths and legends, teeth have special powers to ward off evil or impart special strength. They were considered so powerful that they were worth paying for… evidenced by the “tooth fee” the Vikings paid their children. When a tooth was lost, they would string the tooth onto a necklace thought to aid them in battle. This is probably where the payment for teeth originated. Since teeth were considered so powerful, burying teeth to hide them from witches was common practice. Sometimes they were buried in flowerpots and eventually, the tradition moved indoors and the teeth were “buried” under a pillow. 1. Kids love to decorate so why not work together to create a special tooth fairy box or bag that can be used again and again? 2. Instead of simply leaving money, decorate the dollar bill with a gold or silver pen, or leave a little glitter with the money or gift. 3. Write a note to your children from the tooth fairy complimenting them on their great hygiene ( if they have been doing well) or gently suggesting a little more brushing and flossing (if they have been a little less than diligent). For more information about baby teeth, when they should be lost, and how to best care for them, please call Dr. Ehrenman or Dr. Khan at our Long Island pediatric dental office today. Posted May 7, 2014 by Dr. Ehrenman & Dr. Khan & filed under General Dental Articles. We all know that flossing is just as important as brushing, so getting even the youngest child with teeth to floss is important. Some parents wonder if flossing is necessary when teeth don’t touch. We say “Definitely!” Flossing will not only help kids develop the habit, it really does help clean all surfaces of the teeth and the gum line. Skipping flossing increases the chance for your child to develop cavities between their teeth. But with a little creativity, you can actually make flossing feel less like a chore and more like a daily adventure. Here are a few tips to get you started. Start by making time to floss with your kids. Enlist older siblings as well, and make daily brushing and flossing part of family time. Kids can’t get enough of role-playing or acting things out so make flossing and brushing a battle between the evil, tooth destroying bacteria and themselves – the smile super-heroes! Teach by example. Let your kids watch you floss. Kids love mimicking their parents! Some parents find that beginning the tooth cleaning routine with flossing makes it easier to remember. Let your child choose a fun flosser or kid’s floss when choosing a toothbrush. Flavored floss can make the experience more appealing, and specially sized and colorful flossers are extra-easy for kids to handle and maneuver in their mouths. Ask us about letting your child use a water flosser. Kids get the hang of it pretty quickly, and it can be gentler on gums than string floss. Choose some fun music or a video to help lighten the mood and add to the feeling of celebration. Parents who are already using timed “tooth brushing” music or videos, find it helpful to add some upbeat music to their brushing playlist for flossing as well. It helps make flossing feel like a natural extension of brushing. Flossing in time to the music can make it much less tedious for easily bored kids. Post a flossing chart to keep track of how often your kids have flossed. Letting them choose stickers for the chart and offering a fun, non-monetary incentive can add to the appeal. Offer lots of praise and encouragement. Try to keep all interaction with your child affirmative while flossing to keep the habit feeling like something to look forward to. 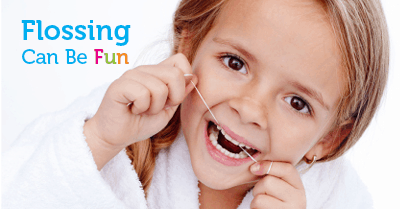 If you have any questions about flossing, please call our Long Island pediatric dental office today so we can set up an appointment for Dr. Ehrenman or Dr. Khan to teach you and your child the best flossing methods. In the meantime, here is a informational video with flossing tips for parents: https://www.youtube.com/watch?v=os0hlwVS2_Q.